Israel bans iPad imports – Blow to iPad? Israel this week banned imports of one of the most exciting product from Apple, the iPad. Yes as unbelievable as it seems this is being done citing concerns that strength of its wireless receivers and transmitters are incompatible with its national standards and could disrupt other wireless devices. The ban affects not just imports but anyone intending to bring in an iPad including tourists and governement officials. About 10 iPads were already confiscated after the ban was announced this week. The siezed iPads were kept in storage and the owners are being charged a daily storage fee or have the option to ship it back to the country they desire. As the sale is only limited to within the US Apple is not concerned yet, but the May 10th date scheduled for international ordering does not include Israel. According to Nati, the European and Israeli commissions do not allow strong wi-fi broadcasting unlike the US. They fear that this would consume too much bandwidth and throw off other devices around them. 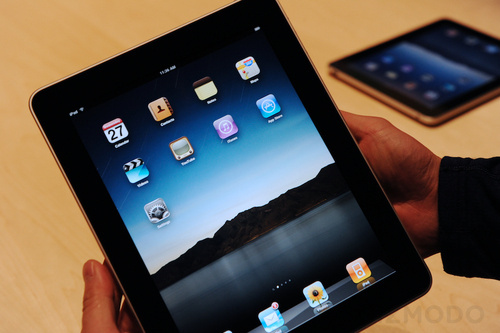 The officials expect Apple to resolve the issue before the international release of the iPad. Apple is distributed in Israel by iDigital declined to comment on the issue. May be Israel should upgrade its network infrastructure than resorting to such tricks! iPad is now a Terror Instrument? US Open Bans iPad! Previous Cisco Valet – Making our lives easy..
so big deal, it is a technicality, if we were talking about Greece or Italy or Spain, no one would give a hoot. Just get off of Israel’s case. I think Israel will end up implementing iPads in the army just like the US army wants too, they are silly! A Blow to Apple fornow. but I don’t think it is an impossibility to fix… Allthough, I see this as somewhat childish of Israel (And any other country who follows the same practice) to be this brazen about it..
ЎIncreнble! No estб claro para mн, їcуmo offen que la actualizaciуn de su nombre de itgrunts.com.